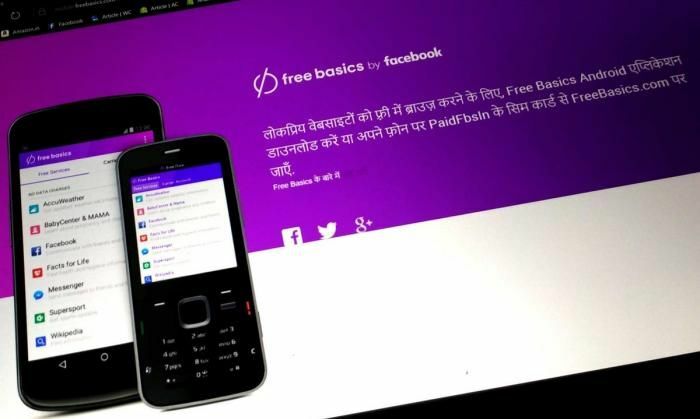 Facing flak for its controversy- ridden internet platform Free Basics, Facebook has now launched an e-mail campaign to garner support to its plea that TRAI's net neutrality rules should not "end up depriving people of the opportunity to come online". The social media giant has already been running full-page advertisements in multiple dailies as part of its 'Free Basics' campaign. However, the Telecom Regulatory Authority of India (TRAI) has not been amused with Facebook's intense lobbying efforts and has been critical of a vast majority of replies to its 'net neutrality' consultation process being on a template provided by Facebook without commenting on the broader issues of the debate. The new e-mail campaign asks Facebook users to act to save free internet access, while stating that free access to basic internet services is in danger. It further says that 80 per cent of India's population still is not connected with internet, despite a significant progress. "TRAI must therefore ensure that any regulatory intervention does not end up depriving people of the opportunity to come online. Instead, TRAI needs to create a regulatory environment where access-expanding programmes can flourish," the Facebook campaign said. TRAI is consulting public to firm up its recommendation over services that lead to difference in price of data or internet. Last date for submitting comment is January 7. The message seems to be in reply to TRAI's observation that message received from Facebook mail's supporting Free Basics does not answer its questions asked in consultation paper over differential pricing of data -- an important aspect of net neutrality. Indicating that the whole consultation process could have been hijacked, Sharma said: "It is like we have asked Question X and they have given answer to the Question Y." Free Basics allows access to content or application hosted on it for free in partnership with telecom operator. The platform has been opposed by net neutrality volunteers, as also by the industry bodies Nasscom and IAMAI, who claim it locks the user to limited content that are offered for free on discretion of Facebook. The message reiterates Facebook's defence of Free Basics, saying the structure is pro-consumer and pro-competition. "Free Basics is non-exclusive. It is available to all operators on the same terms and conditions. Free Basics is an open and non-discriminatory platform. Any content owner can participate as long as it meets the same technical criteria, which are openly published," the message reads. "TRAI should consider whether a programme helps to expand connectivity and whether the programme is free to both users and content providers, non-exclusive for operators, open to all content providers under objective standards, and transparent about its terms and practices. Free Basics meets all of these criteria," the message says. Is Kalyan Singh BJP's possible CM candidate for UP?